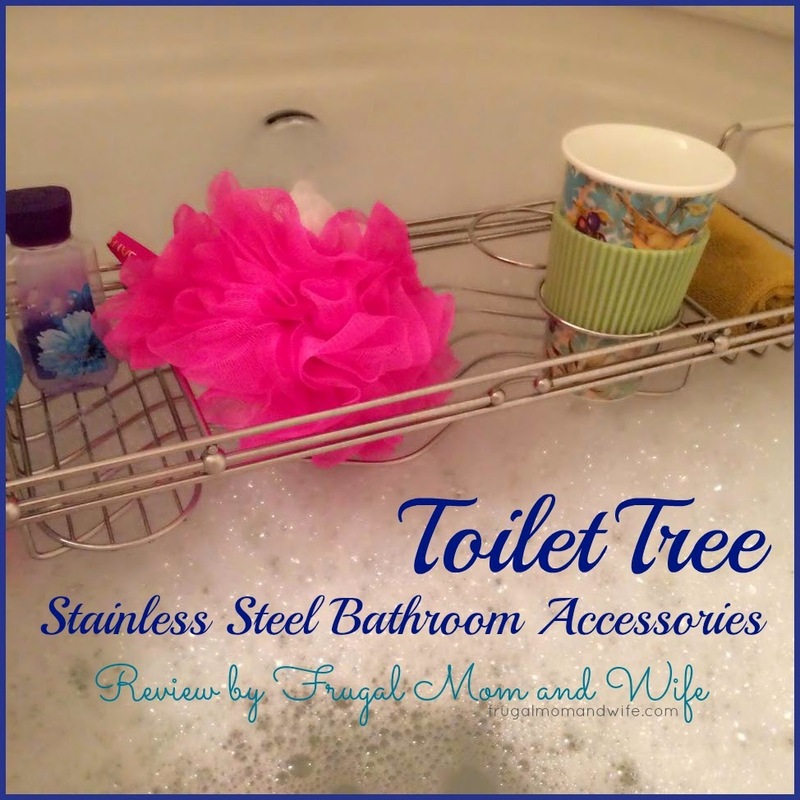 Frugal Mom and Wife: ToiletTree Stainless Steel Bathroom Accessories Review! ToiletTree Stainless Steel Bathroom Accessories Review! 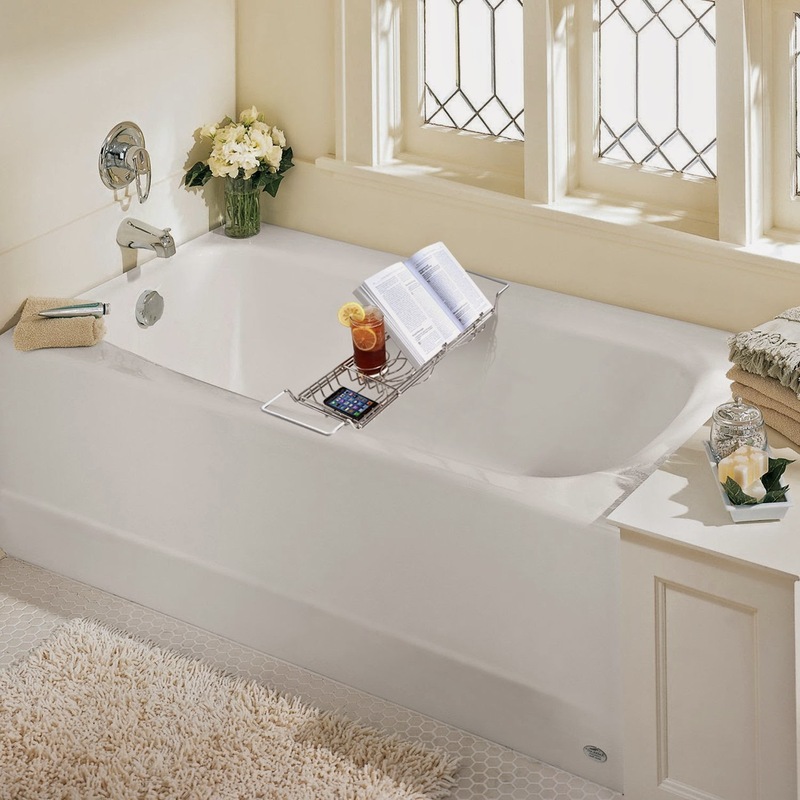 When your relaxing in the tub you like to usually read a book, have a drink, basically stay in there for a while. Having a place to put all these needed items it key for a tranquil experience while bathing. You can always rest everything on the rim of your tub just waiting for the moment to get knocked inside your bath. Oh no! This has happened to me a few times. There is nothing like an ice cold tea or hot coffee added to your bath to either wake you up or send you off into relaxation. With the right setup you do not need to worry about these items having a proper home while in the bath. This bath caddy is made from 201 Stainless Steel material which simply means, its not going to rust. There may be cheaper options on amazon but those will be made from chrome or a imitation stainless steel that will, within a few weeks, turn into a rusty mess. They always say "You get what you pay for" and that's the case with our line of Stainless Steel products. With this bath caddy, we thought of everything to give you the most enjoyable and relaxing experience. When closed, this bath caddy is 26.5 inches long. When fully extended, it is 38 inches long. The arms are coated in a rubber material which will avoid your caddy from sliding around on the edge of your tub. Conveniently hold your cell phone or cordless phone in the side compartments. In the middle of the caddy, you will find an adjustable book/iPad/Magazine holder. They have also included a spot to hold 2 drinks. Why 2 drinks and not 1? Because 2 drinks are better than 1! They stand behind our Stainless Steel products. With a easy wipe down every now and then, you can buy this knowing that in a few years, it will look just as it did when you purchased it. I am a sucker for a cup holder within a caddy. Amazing that you just don not see those when purchasing bathroom accessories. ToiletTree thinks of everything! When I feel like reading I can simply add on the book stand and not get my book wet or need to even hold it at all. There is a place for my cell phone, wireless speaker, loofah and more. Having everything I need right in front of me is a blessing. My only tip regarding this item is to put it in your tube before filling it up with water. This will ensure your water or bubbles is not to close to the contents of the caddy. I highly recommend this caddy because it is structurally sound and outstanding in form. The rubber grips on each side keep it from even thinking about moving to slip or when bumped. The high quality stainless steel has not rusted and adjust to fit your tub. I am always impressed with ToiletTree products because they think of what the consumer really wants and actually implement it. Stainless always looks so good and wears like a dream. I love this! It would be the perfect compliment to my long, hot bath time! I love that it comes with a cup holder! This would be great for a nice, relaxing bath.